The great-grandson of a spiritualist who regularly conducted séances at the family home (where Aykroyd grew up and resides today), Dan Aykroyd cut his teeth on stories and personal experiences of the paranormal. My mother speaks about a time when she was nursing me and an old couple came to the end of the bed. The image faded away. She pulled out an album and saw that it was my great grandfather . . . and . . . his wife, coming to approve the new child. As a child, Aykroyd was regaled by his father of tales of his great grandfather’s séances, including that the family even employed a medium who would channel a variety of people. His father’s fascination with the paranormal was so great that in 2009 his father published what has been described as an encyclopedic book on the subject, A History of Ghosts. 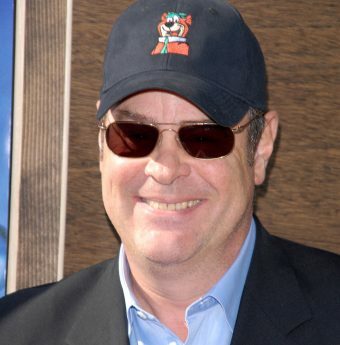 Familiar to any fan of the movie, Aykroyd has acknowledged that these experiences and stories were part of his inspiration for Ghostbusters. Let’s redo one of those old ghost comedies, but let’s use the research that’s being done today. Even at that time, there was plausible research that could point to a device that could capture ectoplasm or materialization; at least visually. The classic film we know today was a departure from Aykroyd’s first draft, though, as the first Ghostbusters used magic wands (instead of proton packs) and travelled through time and other dimensions hunting ghosts (instead of just New York City). The film’s director and producer, Ivan Reitman, insisted on several changes to the original script, and Aykroyd enlisted the help of Harold Ramis to re-write the screenplay. Although they envisioned the movie would star Belushi, Eddie Murphy and John Candy, Belushi’s death, Eddie Murphy being busy with Beverly Hills Cop, and John Candy likewise being unavailable, resulted in a few final changes being made, paving the way for Bill Murray’s iconic portrayal of Peter Venkman, a role that was originally supposed to go to Belushi. Harold Ramis was a complete non-believer, skeptic and agnostic full-on. Billy (Murray) of course is Irish and he knows ghosts exist and sometimes the dead do linger in the land of the living. Ivan Reitman, he’s Jewish so he knows … there’s a lot of paranormal in the Kabbalah. Why Do People Think Area 51 Houses Aliens?